"MOE WAS A VERY GOOD NEIGHABOR.WILL TO GIVE A HAND WHEN HE..."
"We are so saddened to hear of Moes passing..I just spoke to..."
"Mr. Vincent was a regular customer of ours at Pine Street..."
- Kim & Rachel Pine Street Redemption Ctr. "My deepest sympathy. 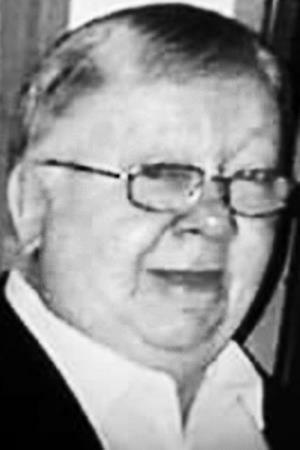 May the God who " comforts all..."
NORTH ANSON - Maurice Vincent, 81, of North Anson, passed away unexpectedly on Thursday, Sept. 6, 2018, at his home. Moe was born in Connecticut on April 2, 1937. He was educated in the local schools. He was an accomplished house painter and was always in high demand. He enjoyed going to lawn sales, camping at Embden Pond with Phyllis,and going to the casino. Although we are saddened by his passing, we are happy for Moe, to finally be back with his beloved wife Phyllis, who passed away in March of this year. He truly missed her every moment of every day. He is survived by his seven children, Susan Veinott, Katherine Merrill, Thomas Berry, Leann Veinott, Sean Berry, Frank Berry and Christopher Berry; 23 grandchildren; 48 great-grandchildren; his special nephew and nieces David Dickey, Jessica and Dulcy and several nieces and nephews. Burial will be in Pierce Hill Cemetery,on Friday, Sept.14, 2018, at 1:00 p.m. Arrangements are under the care and direction of Giberson Funeral Home and Cremation services, Madison.